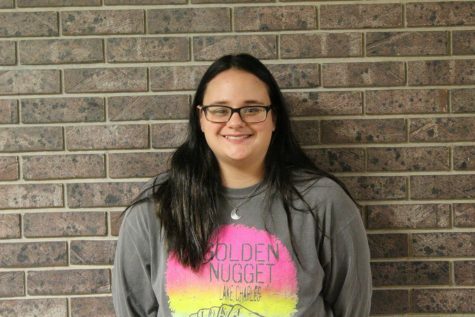 Sydnee Kuhn (10) was on the staff for Clear Lake Reflections newspaper at her old school in Texas and joined the Augusta High School newspaper staff this year. She wants to gain more skill in photography and writing. Outside of the school, Sydnee enjoys playing volleyball and also hanging out with her friends and family. In addition, she likes reading books when she gets a chance. She tries to write and take pictures as much as possible, and hopes to keep writing and taking pictures as much as she can. Sydnee looks forward to pursuing her dream on the newspaper.